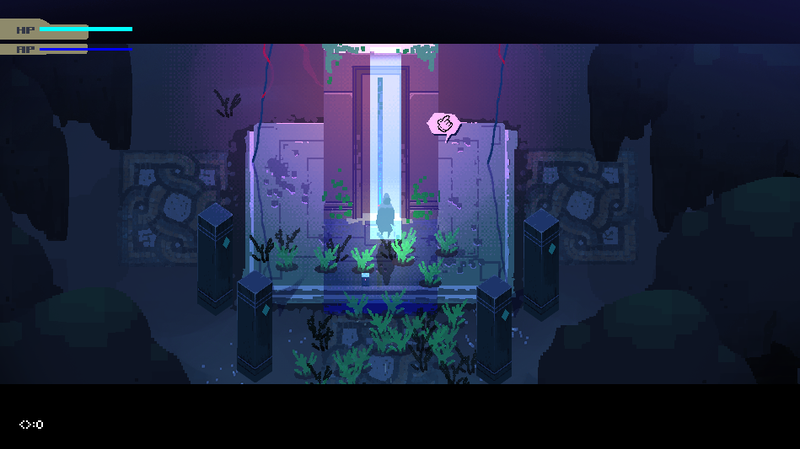 TETRA is a work in progress action-adventure game, inspired by games like Link to the Past, Hyper Light Drifter and Metal Gear Solid. Please Note: This is a learning experiment and is my first real game project. As such, what you're playing is likely to be buggy and rough. This is a short prototype of the game, intended to help provide feedback for the project. Updated versions of the demo will be uploaded as things are added and fixed. Unzip the files and run the TETRA_working_build.exe file. Interesting concept, needs a lot of polish and some original ideas. Still, it's pretty good! Hey, thanks for letting me know! I'll make sure to fix this next update. Is it something that happens all the time for you? It hasn't been mentioned to me before, so I'm curious as to how persistent it was for you. Hopefully you got to play the game, if not, thanks for letting me know and I'll try to update as soon as possible! Man the art is amazing the sound great too. Would be nice to be able to use the analogue stick for movement as the 360 pads d-pad is garbage. 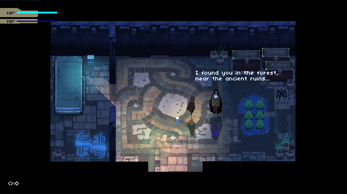 Also this sort of feels like a HLD fan game. That's no bad thing, you've clearly got some skills, but I'd love to see you deviate further from the HLD template and really do something different with it. 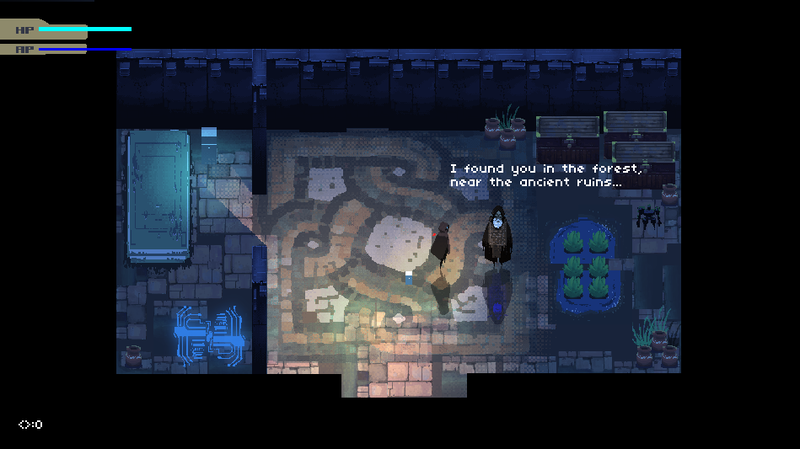 Like maybe bring more of a Zelda influence in there with different tools. Dude that boss fight was freaking awesome! I loved every second of this game, and I really can't wait for the full release! There's a couple uses of the sword that aren't expressly stated that were insanely useful in the boss fight, like the fact that you can destroy the enemy's bullets by attacking, but that didn't detract from the gameplay at all. This is a fantastic game and I look forward to the full release! Thanks for playing, and I'm glad you enjoyed the boss! 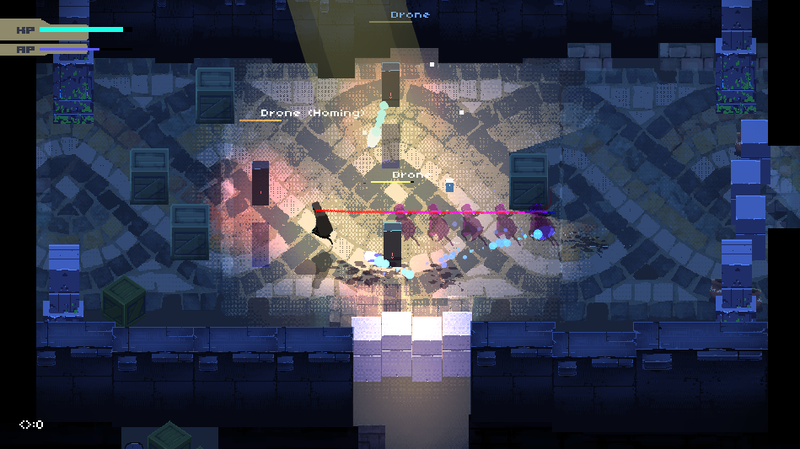 Working on ways to better teach the mechanics of the sword within the game, thanks for letting me know about that! I've only played a bit, and I've absolutely loved what I've played so far, but I feel like this game is way too similar to hyper light drifter. 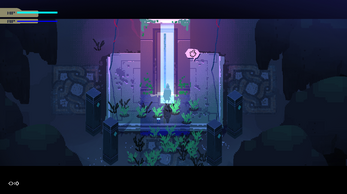 From the dash animation being near identical, to the presence of a floating companion, to the fact that the weapon you pick up is also an energy sword, too many of the mechanics in the game resemble hyper light drifter identically. Again, I would like to reiterate that I do really like what I've seen so far - it's just that it feels too scared to be its own game. Honestly, just tweaking all of these things and making them fresh and original would go an incredibly long way toward making it it's own experience. Hey! Thanks for playing and for voicing your concern! I'm working on making this more of its own thing as I get more confident in Game Maker, so hopefully you'll check in later and find something that stands on its own a bit more. Appreciated! i mean obiusly it has a lot things to be worked on, but this is a great tasre of what this could reach to be. Hey, thanks for checking it out! Hope you'll check back in the future when hopefully things are fixed up. Thanks again! I wanted better controls, you delivered. I wanted to see more of the game, you delivered. Thanks for coming back, and thanks again for your constructive feedback! It was fun watching you play again, and I admire your patience in dealing with those bananas. Some of the things you mentioned I've already been working on for the next update, but you also brought up some really interesting new angles to consider, which is super helpful. Next update, the dash will make the player invincible, getting hurt will give you a window of invincibility and I've tweaked the balance to make ranged combat a bit less powerful compared to melee. You mentioned incentivizing close-up combat and that's something I'm really into and hadn't done at all, so I'm looking at ways to make the combat more fun and rewarding. Also enjoy the idea of weaponizing the dash, so will play with that as well. Everything you mentioned, I've noted -- clueing in the player more clearly about the less obvious systems, etc. I've been retooling the boss fight as well, and the next version will probably not have the gaps in the floor and just allow the player to focus on avoiding and attacking. The i-frames on the dash make the bananas easier to deal with now, but those might need to be toned down more as well. (Also, bananas is canon now, thanks.) I've also added a checkpoint system, so you don't have to reload your save every time you die, and might make it so you just skip the boss intro the second time around. Thanks for checking back in with the game, and for offering your honest thoughts. Much appreciated! I'm so glad you found all the feedback useful! I can see a really great game in here and you already have so many of the systems in place, with some refinement this could very well rival the like of Gungeon and HLD. Some other games I have played recently that have interesting, albeit very different, melee combat styles were AUBE and LUCAH. I don't know if they're really compatible with the rest of the gameplay you already have in place, but they might be useful for some brainstorming. I just revisited the full release of another game I had looked at early on and seeing what it had become was a pretty amazing experience, and I look forward to doing the same here. Played on my show, Indie Game Roundup ( starts at 47:25 if embed isn't working). Very promising so far! Thanks for checking the game out, much appreciated! Just wanted to let you know I've updated the current demo with controller support, and I'm also adding checkpoints in the next big update. Many thanks again! Thanks for checking the game out, making a video, and putting up with the more broken parts of it! Fixing a lot of the issues you encountered for the next update, I hope you'll check it out further down the line as well. Many thanks again! Very nice! Did you use Zitra for the scene backgrounds? Thanks! I'm not familiar with that, but everything here was made in PS. PS has a lot of good features. I haven't used it since 2015 but I heard it's cloud-authenticated now! I enjoyed this as, it has a direct connection to my youth with inspired games such as, zelda like you mentioned. Just stepping out of the old mans house it looked familar to me maybe it was just concidence but, I noticed it. The gameplay takes some getting used to. The lay out of the keys is a bit odd to me. I'm referring to the dash command thing.It's good hopefully your project will get fleshed out more. Thanks for playing the demo! I appreciate the feedback and hope you'll check back in the future when there's more content in the game. For now, just letting you know I updated the controls and added gamepad support. Thanks again! I really want to like this game. The atmosphere, art, music and mechanics are really cool but the controls are pain awful. It's like they were designed for a single eight fingered left hand. With custom keybindings or the controls I suggested in the video, this could be amazing. But as it is, it's like trying to play piano in oven mitts. Thanks for checking it out! Definitely going to work on the controls for the next demo. The current control layout feels pretty bad, maybe having the arrows control both movement and menus and having either attack or dash on left ALT and the bomb on like Z would feel better. 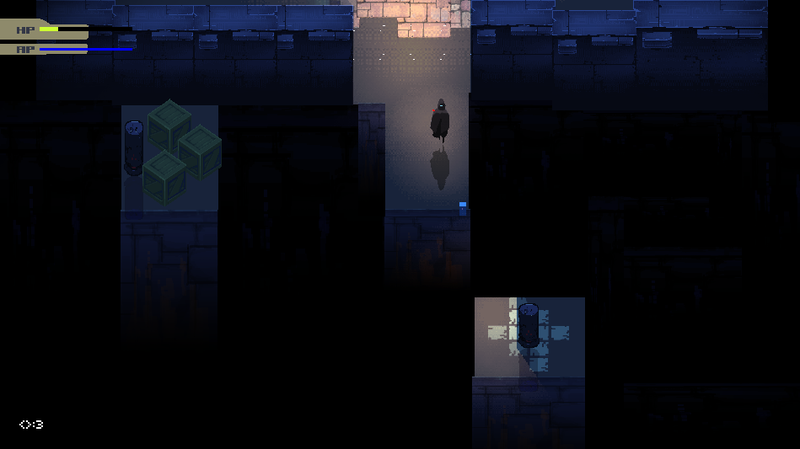 It's real hard to use sword/dash/gun/bomb fluidly at the same time with current layout. The dash having absolutely no i-frames makes it tough to avoid being hit by the bosses' multiple rapid seeking projectiles, and you can't slice them with your sword fast enough because of the short pause after the fourth attack. If you DPS the boss too fast it combines 2 of it's attacks in a single barrage, like the rapid seeking yellow shots and the red ground circles at once. Not sure if intended. I could dash attack into the boss' hitbox accidentally and get stuck there, which meant I couldn't use dash attacks at all in the fight or risk getting stuck. Having dialogue scroll only while you hold ENTER feels a little weird. Overall it looks real promising, even if it is similar to HLD. Thanks for the feedback, it's much appreciated! The controls have been mentioned and I'm just now realizing they 're uncomfortable. I'll be working on that for the next demo. The suggestions you made are good, as well, so thanks for that. I'm super interested in the dash i-frames -- I had that early on in the game but turned it off as it made things a bit too easy. But I can see it being needed if the game goes in the direction of the boss fight, with more chaotic patterns, etc. Will experiment with that as well. Dashing into the boss is a bug, so that's on the list to be fixed as well, thanks for mentioning. The red AoE and homing bullets pattern is done on purpose. I wanted the attack to feel chaotic, like the boss is throwing everything at you as it dies, but without i-frames on the dash, I can see how it could be a pain to avoid. Thanks for playing the game and the detailed feedback!